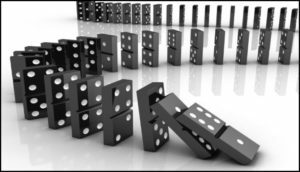 What banks do in the states can impact banks in Europe. The opposite is also true, what banks do in Europe, can send important messages to banks in the states. 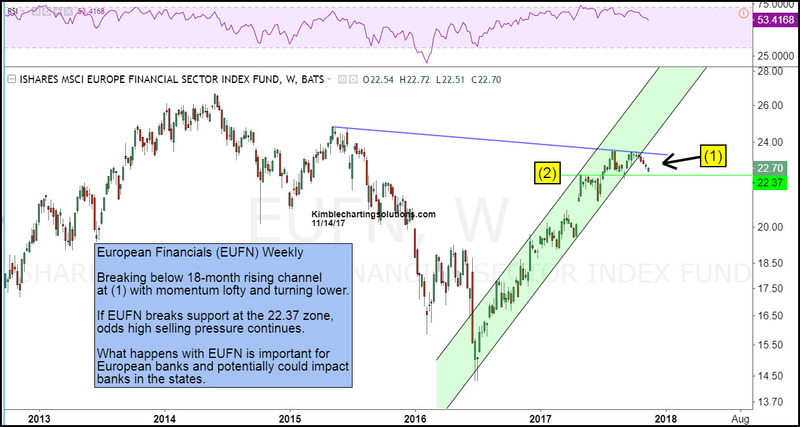 In our humble opinion, weakness of late in EUFN and banks in the states (XLF) have NOT broken the upside momentum. What EUFN does at line (2), which is the 22.37 level, could send very important micro and macro messages to European and banks in the states, as momentum is lofty and could be turning lower. Line (2) comes into play as support…this could become a very important support test! 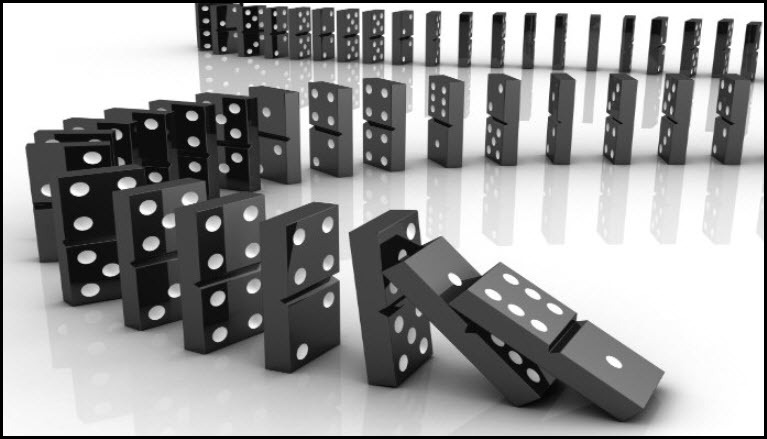 If this support would happen to give way, a domino impact could take place in the banking sector.